N.C. 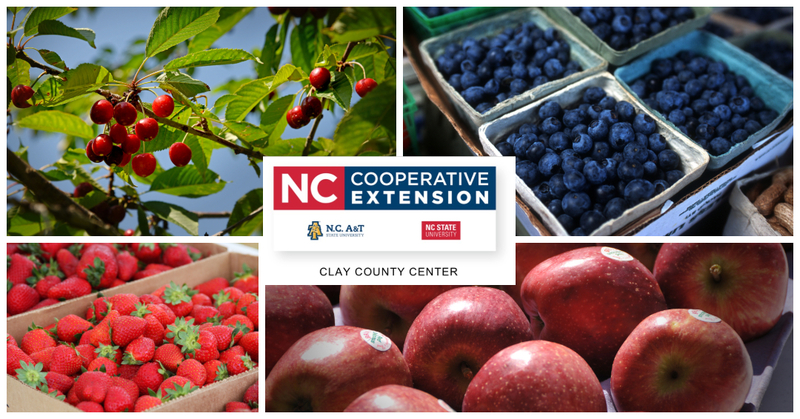 Cooperative Extension of Clay County will be offering fruit plants for sale for the 2019 Spring planting season. The funds from the plant sale will support the 4-H Youth Program. Plant orders will be taken from Friday, February 1 until March 8. In order to keep the prices low, a prepayment of all orders is required by March 14. Plants for sale include varieties of apples, peaches, pears, cherries, plums, blackberry, raspberry, blueberries, strawberries, and grapes. To place your order come by the N.C. Cooperative Extension, Clay County Center at 25 Riverside Circle, Suite 2 (In the Community Services Building), call us at 828-389-6305, or print order form below and fax to 828-389-8872.